Like many ideas in Rome, they got their pagan ways from the Greeks. Stoicism was also very popular in Ancient Greece and Rome. Stoics were not permitted to let pain, grief, joy or other emotions affect their outward or inward state, as they were to be guided by reason alone. Rome's population was extremely stratified, women had very few opportunities and slavery was a staple in its economic structure. 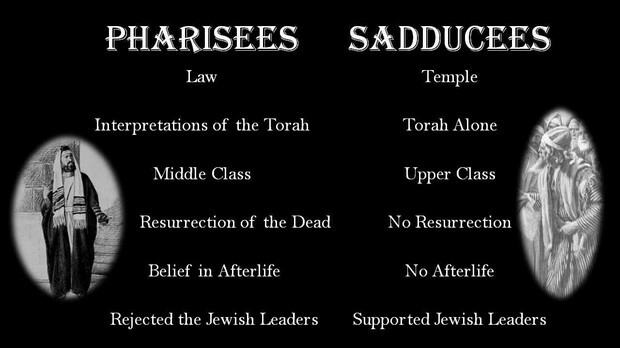 During this period, there were two main groups of Jews: the conservative Sadducees and the more reformative Pharisees. Eventually, the Sadduccees faded from existence after putting Jesus to death. After His crucifixion, Jesus's apostles were afraid. 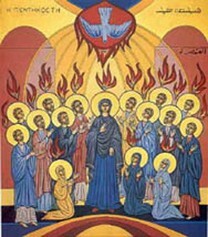 However, Christ didn't leave them alone, but instead left them with the Holy Spirit on Pentecost. 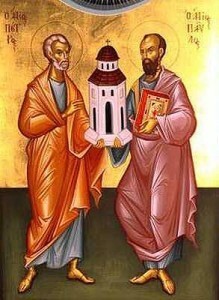 Filled with the grace of the Holy Spirit, the Apostles set out to build the Church. They began to preach the Good News and Christianity began to spread quickly. The Apostles transmitted their episcopal power to their first successors and bishops today have a direct link to them and the duty to protect Christ's teachings. Jesus didn't leave his Church with a fully developed theology so the practices of early Christians took time to develop. Early Christians stayed closely tied with their Jewish traditions, but after the Council of Jerusalem and a huge increase of Gentiles to the faith, all of that changed. Adults who wanted to convert spent years in a program before they could be baptized but eventually infant baptism became popular. The Eucharist or "thanksgiving" began to be celebrated in the liturgy. The celebration of the Eucharist was accused of being cannibalistic and Church Fathers had to write The Didache to explain the Church's morals, doctrine and customs. Chapter 3: Persecution of "The Way"
In the early years of the Church, Romans feared and mistrusted Christians. Early Christians, who referred to the faith as "the Way" were persecuted and killed. Christianity was born in the Passion and Death of its founder, Jesus Christ so in a like manner, his first followers also suffered for their belief in him. St. Ignatius of Antioch, the first person to use the term "Catholic Church" wrote the Seven Epistles making clear his desire for martyrdom. 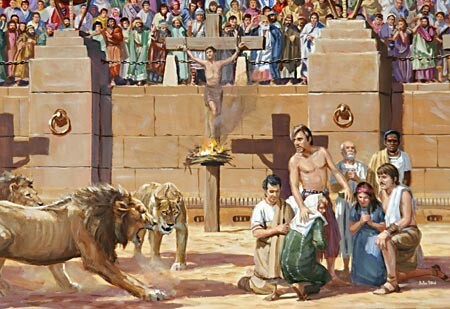 He got his wish and was fed to lions in the Coliseum, where many early Christians faced their deaths. Emperor Constantine however, was friendly to Christians, despite not being one himself, and after his victory against Maxentius in which the "Christian God" had favored him, he issued the Edict of Milan to give to back the Church all stolen property. Following the persecution of Christians, the Church struggled with a series of heresies. To clear up various heresies he Nicene Creed, Apostles' Creed and the Athanasian Creed were written as professions of Faith that the Church still strongly affirms today. Between the fifth and sixth centuries Popes and bishops led the Church through Ecumenical Councils to address each new controversial heresy. Material heresy is through a misunderstanding or ignorance and an unintentional by the subject while Formal heresy freely chosen with full understanding of the Church teaching and is deliberate. Heresies such as Gnosticism, Marcionism, Manichaeism, Motanism, Docetism were highly damaging to the Church. Church members also held diocesan councils which consisted of a bishop and his clergy, provincial councils which assembled the archbishop with his suffragan bishops, and plenary councils which summed all the bishops of a nation. Holy leaders called Church Fathers, such as St. Ambrose of Milan and St. Augustine of Hippo, led the Church and explained the the Faith. They were divided in to the Latin (West) and the Greek (East) Fathers. A Doctor of the Church is a title given by the Pope to someone whose development of theology and personal sanctity are exemplary. Arianism came about during the fourth century, claiming that Jesus was neither God nor equal to the Father. St. Athanasius persistently fought against Arianism at the Council of Nicea and eventually the battle was won. 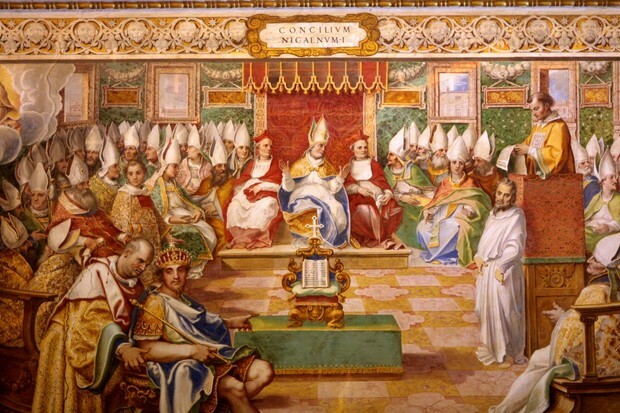 The Council of Constantinople in 381 reaffirmed his beliefs and the Nicene Creed against Arianism. The collapse of the Roman Empire took the Church by surprise. Barbarian invasions changed the concept of human rights and their religious practices were primitive and brutal. There was also a loss of academic pursuit, and illiteracy soon became the norm, hurting the Church as the people could no longer read Scripture. 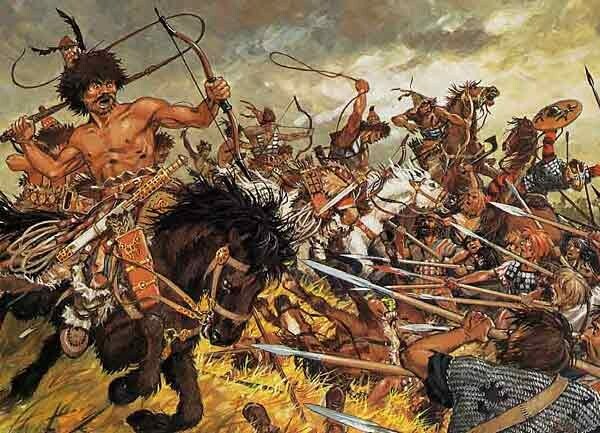 By 451, the Huns had invaded Gaul and threatened the Western Empire. Many Huns slashed their faces to frighten those that they conquered and the Romans feared them. Attila the Hun had set his sights on southern Italy but as they drew closer to Rome, Pope St. Leo the Great met him and somehow convinced him not to attack. Monasticism, a way of life characterized by prayer and self-denial lived in seclusion and under a fixed rule with professed vows, also appeared during this time. There were two types of monastic life: eremitical, the hermit life secluded from the outside world, or cenobitical, the common life lived in community. St. Pachomius founded cenobitical monasticism in Egypt. This rise of monasticism served a triple purpose: they were a source of spiritual strength, served as seminaries and functioned as centers of evangelization for barbarian tribes. They recovered rural society, they were intellectual and they were civilized, all qualities Europe had lost after the fall of the Roman Empire. The final break between the West and East was in 1054. Eastern Christians didn't really look to the Pope as leader, as they had their own patriarch that crowned their emperor and was a very important government official and their monks were even more secluded from the outside world. The Greeks did not accept Filioque or "and the Son" as part of the Creed and still haven't accepted it today. In 857, the Photian Schism put another wedge between East in West leading up to the Great Schism in 1054. The new patriarch in the East, Michael Cerularius, deleted the Pope's name from all liturgies. The Crusades (1096-1270) were fought against the Turks in the Holy Land and the Muslims in Spain and also against heretics such as the Albigensians. 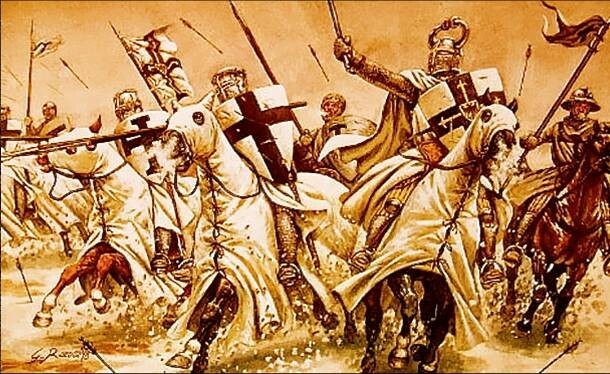 The word crusade itself could be traced to the word Latin word crux which means "cross", an accurate depiction for the Christian principles they were fighting for. Fatimite Muslims in Egypt were persecuting Christians and 2/3 of the Christian world had been conquered. Pope Urban II began the Crusades by proclaiming an organized assault in defense of Christian Europe against the threat of Islam taking over the entire West. Volunteering for a crusade was also a way for gaining an indulgence for one's sins. The First Crusade was a victory and its success led to a string of crusades that lasted for nearly five centuries. The Inquisition began in reaction to the Albigensian heresy which had been thriving in in southern France. In 1231, Pope Gregory IX established the Inquisition as a means of getting rid of heresy, appointing mostly Dominicans and Franciscans as judges who were free from any secular influence. After a long and complicated trial process, if one was convicted of being a heretic, he was usually punished to good works such as building a church or participation in a crusade. The Inquisition in Spain was much more brutal and the punishments were much more cruel. Heresy was viewed as a serious crime during the Middle Ages. Before the High Middle Ages, most education in Europe took place in monasteries, but over time the demand for education began to rise and schools began to develop. They added philosophy, astronomy civil and canon law, and medicine to their curriculum and and universities were founded. Degrees were awarded to students and reflected the same type of recognition bestowed upon members of other trades. Guild organizations allowed universities to remain independent. Universities offered a stadium generale program that included theology law, medicine and the arts. The uinversities grew immensely and because of them there would be new light shed on the Mysteries of the Faith. 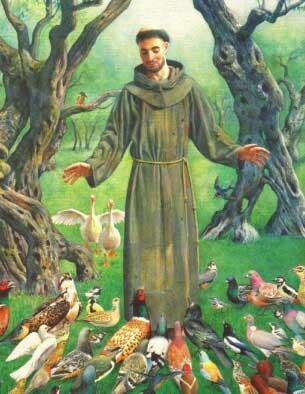 St. Francis of Assisi and St. Dominic were friars during the middle ages that started their own Franciscan and Dominican orders that served Europe. During the fourteenth century, the Black Death devastated Europe, killing 25,000,000 people or 1/3 of the population. The plague was spread by rats coming off of ships and infecting everything on the land. The symptoms were terrible and Jews were the scapegoats, accused of poisoning wells. The Hundred Years War also broke out between England and France over succession to the French throne. England had the upper hand early in the conflict but thanks to Joan of Arc, France when on to victory. 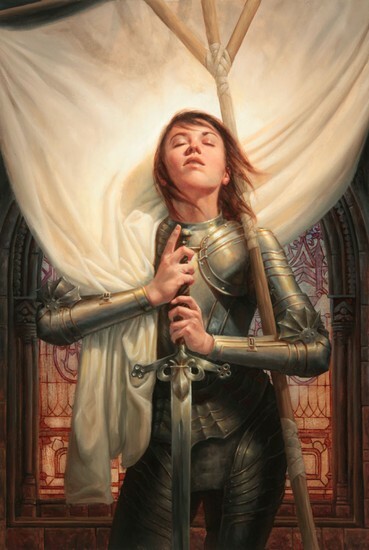 Joan of Arc, guided by the Lord, led troops against England. She was eventually captured, and burned at the stake for witchcraft, but she gave the French faith and had an enormous impact on the war. As the fourteenth century ended, people began to turn back to the ancient Greek and Latin classics, and there was a desire to return to the civilization of the Greco-Roman world. This movement was called the "Renaissance," a French word for rebirth. There was again a fascination with human achievement men wanted to enjoy life in the here and now, serving the community with their gifts. 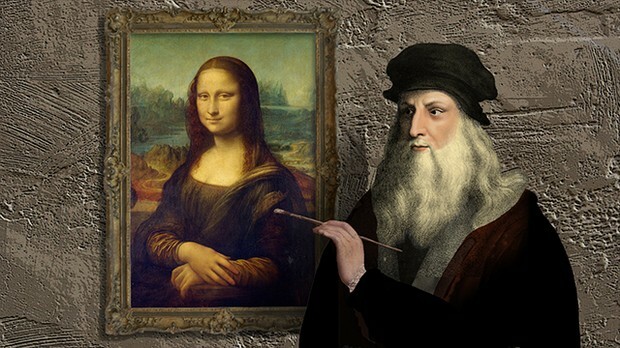 Art was considered the pinnacle of human achievement. Humanism was a literary genre that would elaborate on different facets of human life and education's new purpose was not just to train one for a craft but to also make the individual more wise and more virtuous. Many writers from this period such as Homer, Plato, and Thucydides are still studied today. In the mid 16th century, reformers began to question the teachings of the Church. 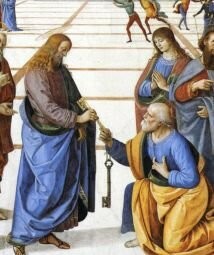 Because of simony, nepotism, and the abuse of indulgences, reform was needed in the Church. 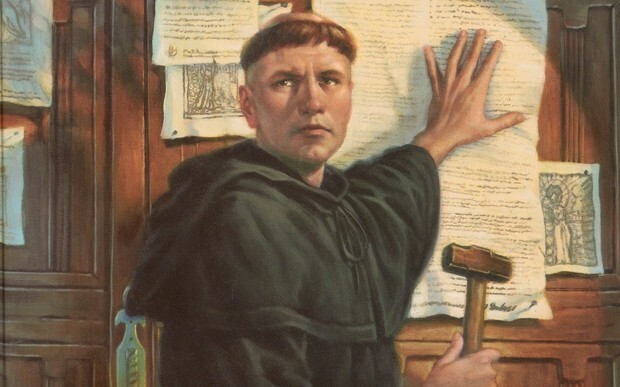 Martin Luther, a monk, wrote the Ninety-five Theses and nailed it on the door of the Church of All Saints in Wittenberg, condemning the selling of indulgences. Luther's criticisms undermined the authority of the Church and caused a huge snowball effect. He began disobeying his superiors and became the leader for reform. Martin Luther believed that Christ must be the center of the Scriptures and he objected to some books of the Bible. His beliefs, strong willed nature, and the corruption of the Church at the time led to the Protestant Reformation. The English Reformation sparked when King Henry VIII wanted to leave his wife. The Pope wouldn't grant him a divorce and Henry wouldn't take no for an answer, so he declared himself the head of the Church of England. St. Thomas More an St. John Fisher were imprisoned and martyred for standing up to Henry VIII. Church properties in England were confiscated and England became Protestant. By the late 1560s, Turkish soliders attacked Austria. St. Pope Pius V financed the Christian League to defeat them. They were victorious and Christians were safe from the fear of the Mediterranean becoming a "Muslim lake." During the 16th century, the Church embarked upon the greatest missionary expansion in her history, reaching millions of new faithful around the world. Henry the Navigator opened a school for navigators and soon his men were sailing farther along the African coast than any previous explorers, returning with gold, ivory, spices, and slaves. Portuguese sailors Dias and de Gama sailed around Africa to India and started trade empires with Asia. In 1492, Queen Isabella of Spain funded the voyage of Christopher Columbus to sail West across the Atlantic. 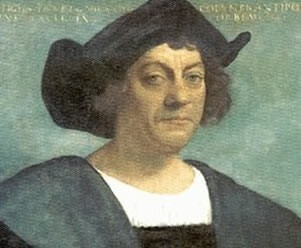 When Columbus reached land he thought he had reached Asia, but he in fact had landed in the Bahamas. Spain sent Ferdinand Magellan across the Atlantic and around South America and across the the Pacific. He landed in the Philippines, claimed it for Spain and was the first person to sail around the globe. The discovery of the New World caused the Colombian Exchange. This was the exchange of agricultural goods, animals, plants, and diseases between the Western and Eastern Hemispheres. There were many obstacles facing missionaries that went to evangelize America. Travel distance, climate, language, and the bad example of other settlers were difficult to overcome, but the dedicated missionaries did not give up. For Charles V and Philip II , the propagation of Christianity was the primary goal in the new world. Since the very first voyages, priests accompanied sailors to convert the natives. Spanish missionaries wanted to create communities away from white settlers so that their efforts wouldn't be ruined by their bad examples. The king gave them permission to found mission settlements. The natives chose their own civil authorities and only missionaries were able to visit the settlements. They were taught faith, reading and writing, modern farming techniques, and industrial crafts. Beginning with the scientific revolution in the seventeenth century, which significantly contributed to the eighteenth century Age of Enlightenment, rulers, scientists, and philosophers throughout Europe challenged political authority, traditional philosophy, and the Church's authority.These new philosophies focused on the rights of individuals and the power of reason as replacement for religious beliefs. New discoveries provided an even greater confidence in the role of reason, rather than the teachings of the Church. Atheism, agnosticism, and secularism became more popular and the Church struggled. The most notable heresy in France during this time was Jansenism. According to Cornelius Jansen, Christ didn't die for all men since most people were predestined to damnation and he taught that only the "just" or predestined should receive the Eucharist. Pope Innocent X condemned Jansenism and pointed to the teachings of the Council of Trent, insisting that the Church teaches that God wills for everyone to be saves and gives each person sufficient grace for salvation. Louis XIV saw the Jansenist as a threat to his royal authority, and ordered the Convent of Port Royal where it was centered, destroyed. 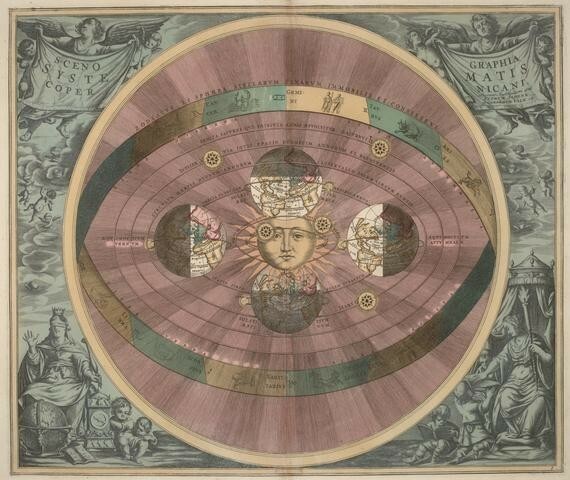 The great scientific discoveries of the 17th century laid the foundation for what we know as the Age of Enlightenment. Discoveries vegan to prove the effectiveness of human reason and showed that scientific knowledge could be useful in problems of society, poverty disease, and war. As human reason became more popular, secularism and agnosticism would take hold as new popular "religions." French mathematician Descartes invented coordinate geometry. He believed that man is incapable of knowing any truth that is metaphysical, and placed a huge wedge between Faith and reason. Francis Bacon, an Englishman, wrote that knowledge would help man control nature and contribute to wealth and comfort. He posited that knowledge must originate form specific observations toward a general theory. This "inductive" method was known as empiricism and showed how knowledge could produce many practical advancements to improve the quality of life. The 20th century was the bloodiest in history with an estimated 188 million people killed, and marked the beginning for totalitarian systems, such as Fascism, Nazism, Communism and the emergence of genocidal acts by the Nazis to Jews and the Communists to Cambodians. Atheism and agnosticism were dominant modes of thought, and traditional values went down the drain. Soviet Communist leaders cruelly suppressed political position and established tight socialist control over the country, execution of the czar and his family. They were skilled in propaganda and convinced many Western intellectuals that the Soviet Union was a workers' paradise but the harsh reality was brutal and totalitarian oppression only grew worse. Religious persecution was a major element of the Communist regime, both persecuting Catholics and Orthodox churches. In 1923, the last bishop in Russia was sentenced to ten years in prison and only one priest was permitted to minister in the country. The Church was against Communism from the start but it would take more than 50 years for the Soviet Union to crumble and for Communism to fall in Eastern Europe. One of the most critical challenges to the Church was the rise of Adolf Hitler and the National Socialist Party in Germany. Nazism was a blend of nationalist totalitarianism, racism, neopaganism, and maintained that superior individuals had the right to ignore conventional morality and live by their own rule- killing Jews. On March 14, 1937, Pope Pius Xi condemned Nazism and charged the regime with repeated violations of the concordat and open attack on the Church. Infuriated by the Pope's criticism, the Nazis launched propaganda against the Church. Nazi Germany and the Soviet Union invaded Poland in 1939 and WWII had begun, claiming 55,000,000 lives before its end 6 years later. Pope Pius XI died and Pope Benedict XV was elected to take his place. Cardinal Eugenio Pacelli was named an archbishop and appointed secretary of state under the Pope. Through diplomacy, the Pope won for the city of Rome "open city" status that made it exempt from military attacks. Jews were sheltered in the Vatican and Hitler was so upset with the effective resistance of the Vatican that he prepared a plan for assassinating Pius XII because of "the papal protest in favor of the Jews" but it was not carried out, as the war ended to soon. Rabbi Dalin called him "a righeous Gentile." Sts. Maximillian Kolbe and Teresa Benedicta of the Cross also resisted the Nazi regime. Kolbe gave his life to save a man in a concentration camp, and Teresa who had originally been an atheist, converted to Catholicism and was killed for smuggling Jews to safety. The Church helped Jews by helping them escape and by smuggling. 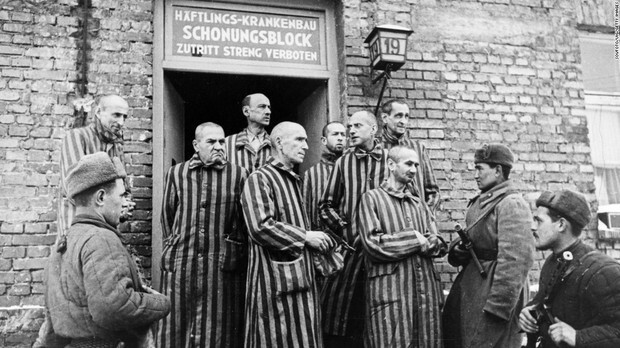 Also, the Vatican had to stay relatively silent, as Jews were persecuted even harder whenever the Pope spoke out. Pope Pius XII saved hundreds of thousands of lives during the war. Pope Bl. John XXIII hoped to update the Church in order to meet the urgent spiritual needs of the world. The Second Vatican Council was one of the major media events of the 1960s, and is widely considered to have been the most important event in the Church's life of the 20th century. Less than 8 months later, the Pope died but the next Pope, Paul VI immediately announced that the council would continue. There are 4 constitutions that are the central documents of Vatican II and provide the theological basis and its vision. These were the Lumen Gentium, Dei Verbum, Sacrosanctum Concilium, and Gaudium et Specs. Pope John Paul I was elected to the Papacy in 1978, but barely a month later he died of a heart attack. 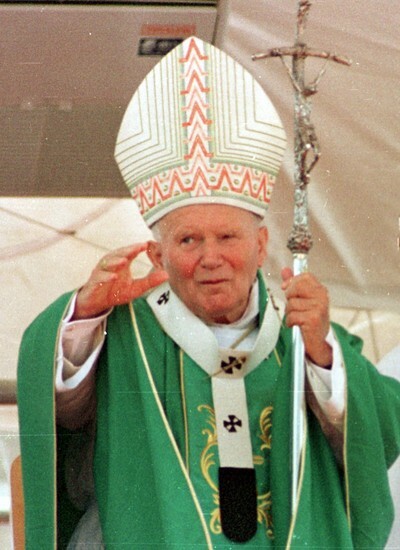 Pope St. John Paul II was elected and he said "open wide the doors for Christ." JPII emphasized the irreducible dignity and rights of every human being and believed that God had called him to lead the Church into a third millennium of the Christian era by continuing her renewal under Vatican II. He saw the secular humanism of Communism as a threat, and set out to combat it with all the spiritual weapons at his disposal. On May 13, 1981 he was shot in St. Peters Square but he survived and even went to go visit his shooter in prison. Despite his age and declining health, JPII continued to travel and launch initiatives. He died in 2005 and many attended his funeral. Pope Benedict XVI was elected Pope and has reached out to the Eastern Orthodox and Protestant Christians to try to amend ties. Massive Catholic immigration to America from Europe occurred in the nineteenth and twentieth centuries and due to higher birth rates, the growth of American Catholicism was remarkably rapid. Although the US Constitution guarantees religious toleration, the growth of Catholicism was greeted by the rise of anti-Catholic Nativism. 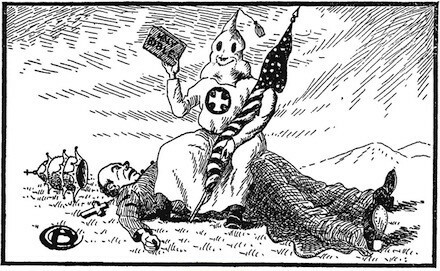 Groups such as the Ku Klux Klan persecuted Catholics and other minorities. Things grew violent and Catholics were excluded from public office at that time. Slavery was also condemned by the Pope in Europe but still ran rampant in the United States, large numbers of Catholics fighting on both sides of the Civil War. Again, in they 1960s and 1970s the Church struggled in America. It was discovered that some priests had been sexually abusing minors, and many churchmen had hushed the abuse to avoid scandal. This contributed enormously to the Church's overall loss of moral credibility and public esteem in the United States. The history of the Church has demonstrated throughout the centuries that the witness of God will push our Faith forward in the United States.